Three free-floating arms suspended by aerial cable, each tipped on both ends with frosted lamps and white flight paper. 6.5" diameter round canopy houses a 150 watt transformer with short circuit protection. 36" width and 40" length. Includes six 12 volt, 20 watt Frostline™ MR16 lamps. Dimmable with low-voltage electronic dimmer. 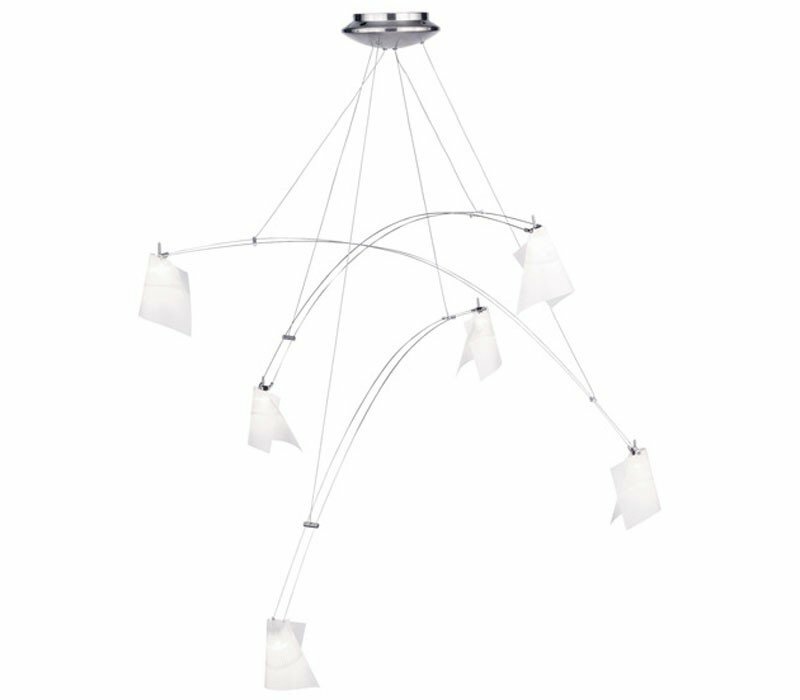 The Tech Lighting 700CRES36SC Mini Crescendo collection Chandelier Lighting in Chrome uses Halogen light output and brings Modern style. This item is 40"H x 36"W x 36"L. The wattage is 20. The Tech Lighting 700CRES36SC requires 6 bulbs (included). Additional Information: Shade-White Heat-Resistant Flight Paper.